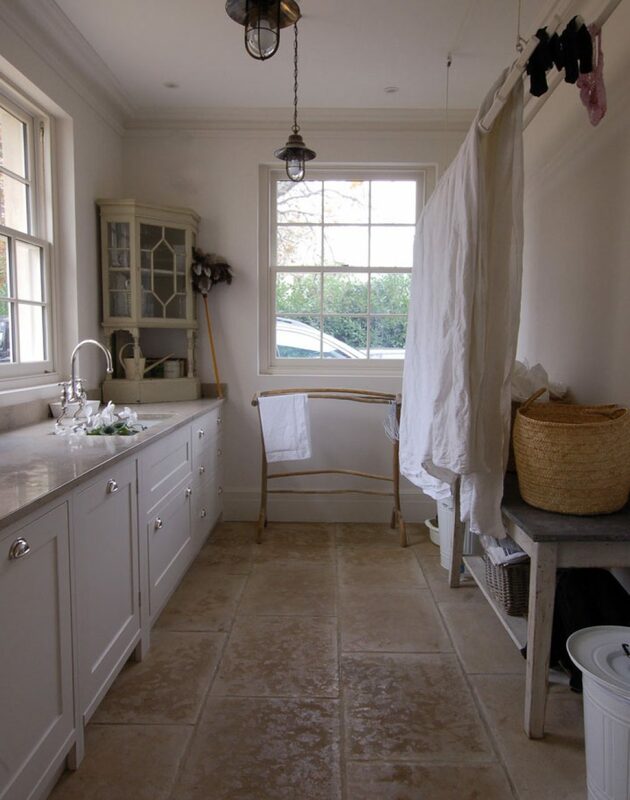 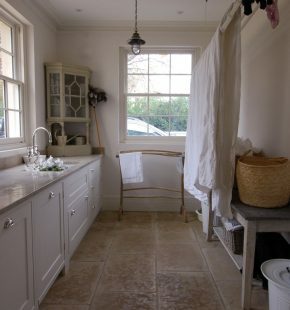 This laundry was made for the interior designer Fi Crole’s Georgian style home. 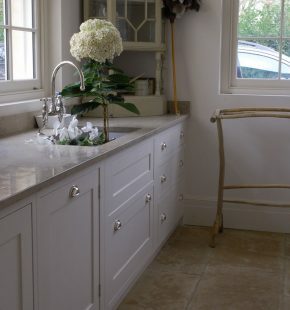 The client required a traditional look that would work with her antique cabinet and laundry maid. 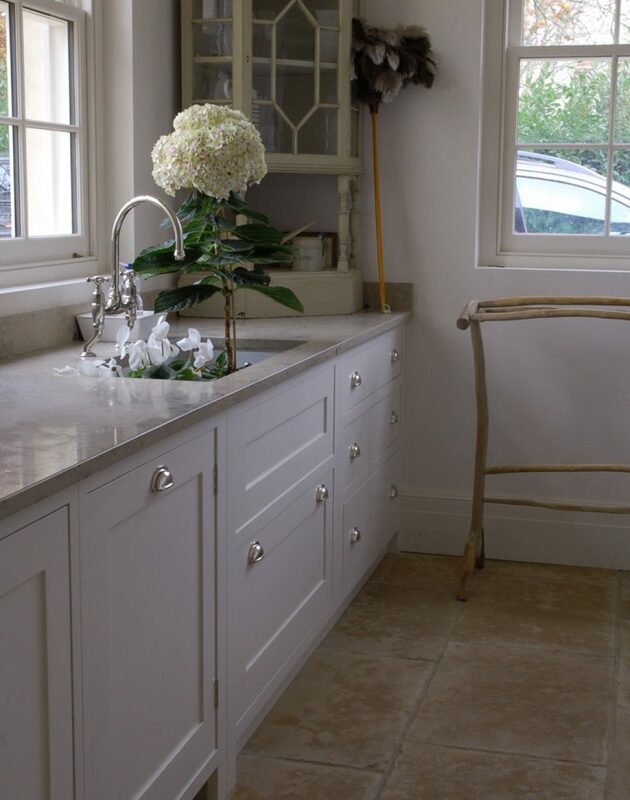 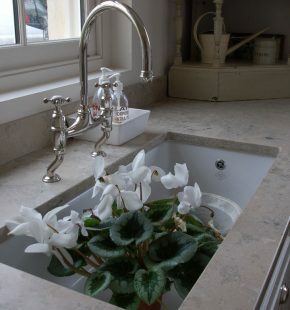 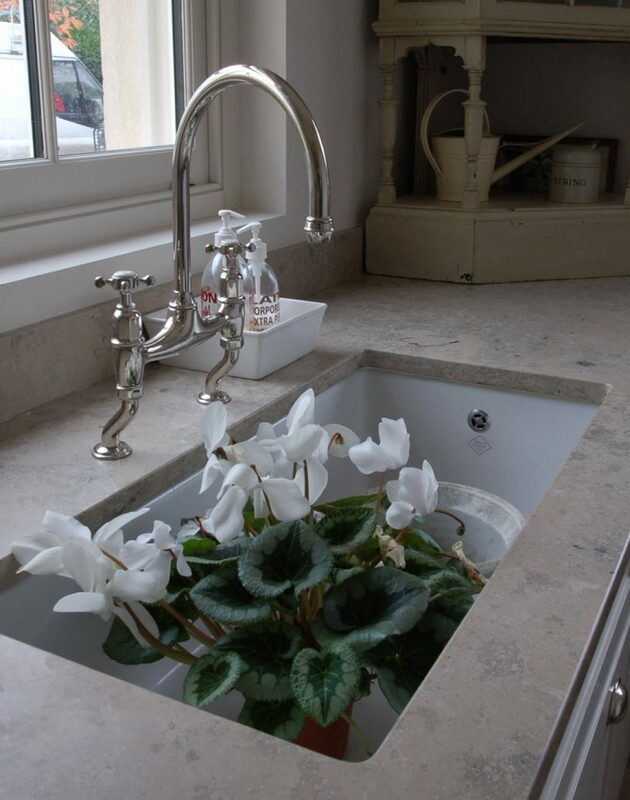 The Jura blue limestone work surface that features in her Guild Anderson kitchen is also continued in this room and works well with the near white cabinetry and makes for a clean and tranquil space.